I don't have any of my old childhood toys left, but some years ago I discovered that I could buy them on Ebay so I started to collect. Speedcubing is another hobby of mine. Last edited by DirtyPuddle; 2018-04-18 at 07:49 AM. 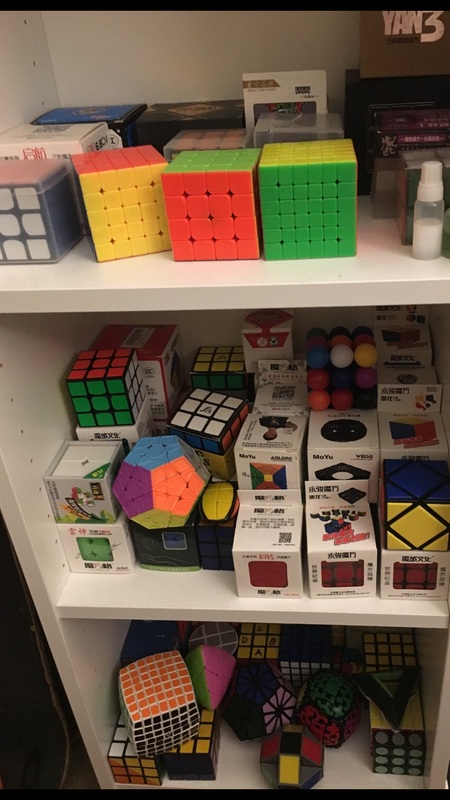 I got a lovely 3x3 cube in Mexico last year from the OXXO store. I've been wanting to pull the trigger on a cheap little 2x2 but can't seem to do it. Should I? I'm not really into speedcubing, but at one point back in the day I did have a website dedicated to teaching people how to solve it. I've been wanting to pull the trigger on a cheap little 2x2 but can't seem to do it. Should I? A nice thing about speedcubing is the extremely low barrier of entry. A decent 2x2 will only run you a few dollars. I would recommend checking out thecubicle.us. eBay is a dangerous weapon when it comes to stuff like that! Here's some pictures I took about 10 years ago of some of my Unicycle-Related Collectibles. The photo shoot started out as pictures of my uni Christmas ornaments, but then I added other stuff, some of which came from eBay. The box of "Uni" Bars was sent to me by Dustin Kelm, and I think they came from Turkey. The M&Ms were a Christmas present. All the pins & patches are from an old jacket of mine from the 80s, which had torn pockets from the early days of Unicycle Sumo rules development (can't pull on the clothes). At the end are three progressively closer pictures of one of the three great seals in front of California's State Capitol building. This one commemorates the Spanish missions, that represent some of the earliest communities being set up in California by Europeans. The "unicycle" is a cattle brand from one of the missions, but I don't know which one. Last edited by johnfoss; 2018-04-19 at 02:54 AM. I've forgotten how to solve it. I learned it from a childhood friend who figured out the soulution completely by himself. Yes, and especally those auctions. I got carried away and overpayed more than once. The "wedding unicycles" you can get on ebay now. The price has gone down, maybe they are copies. Don't even get me started on the Hot Wheels cars. Woah..!! I love it too.